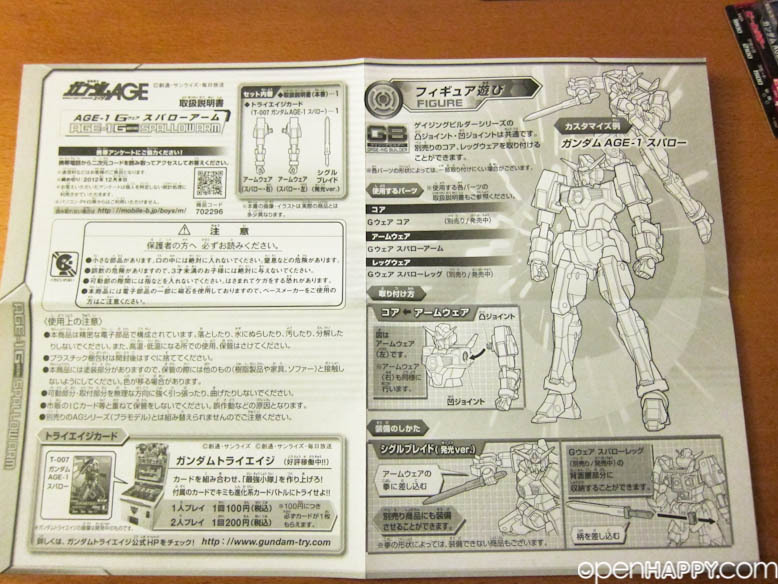 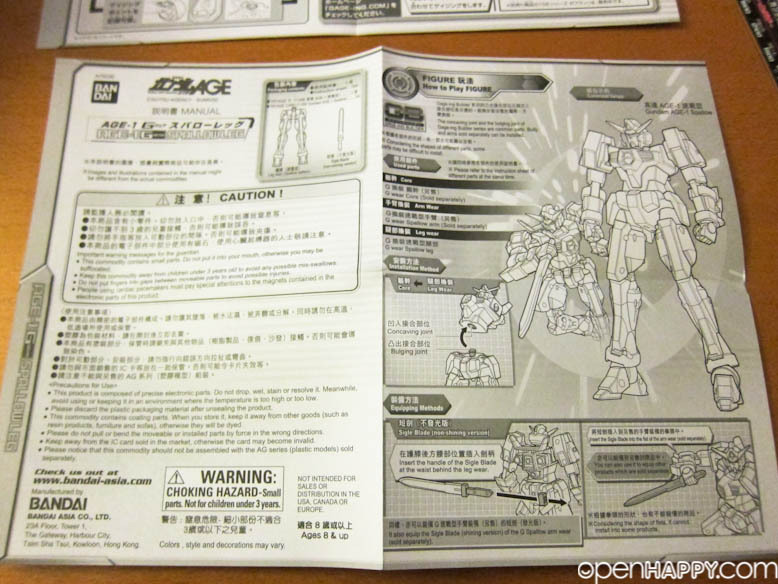 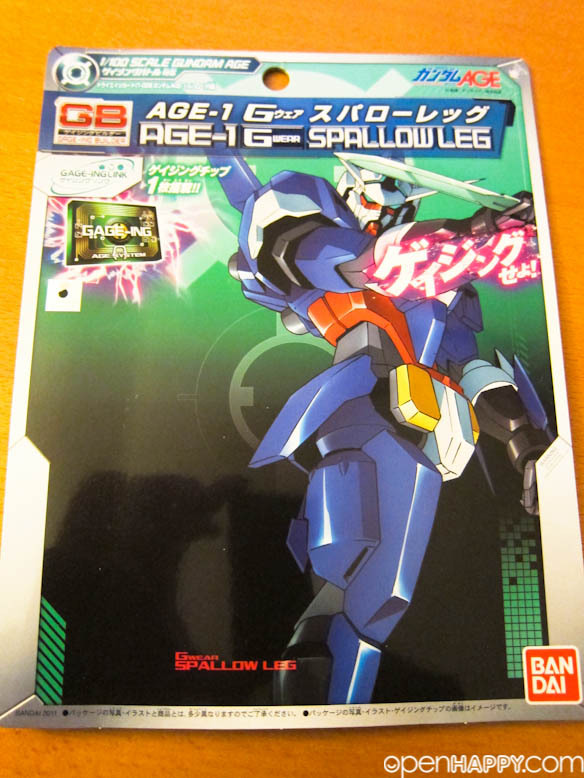 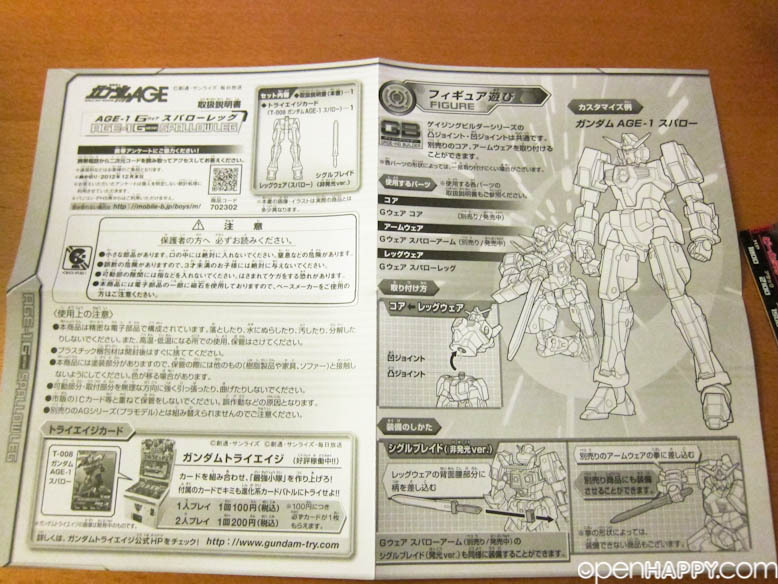 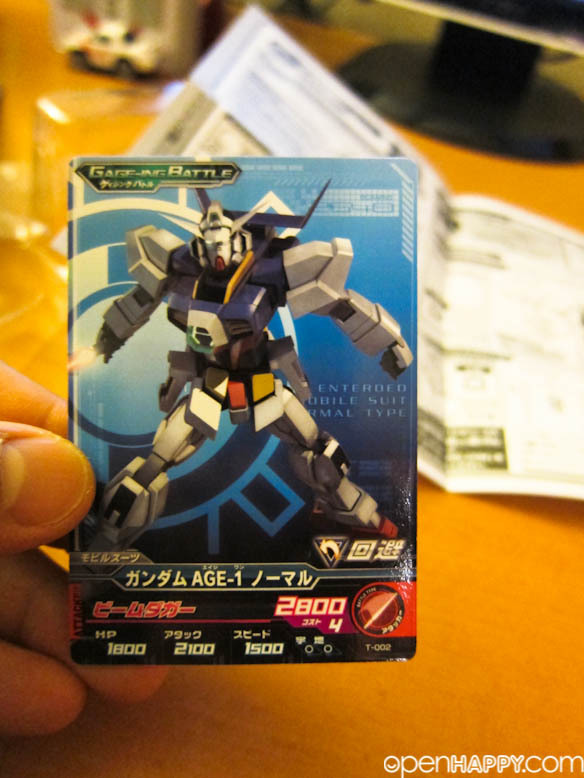 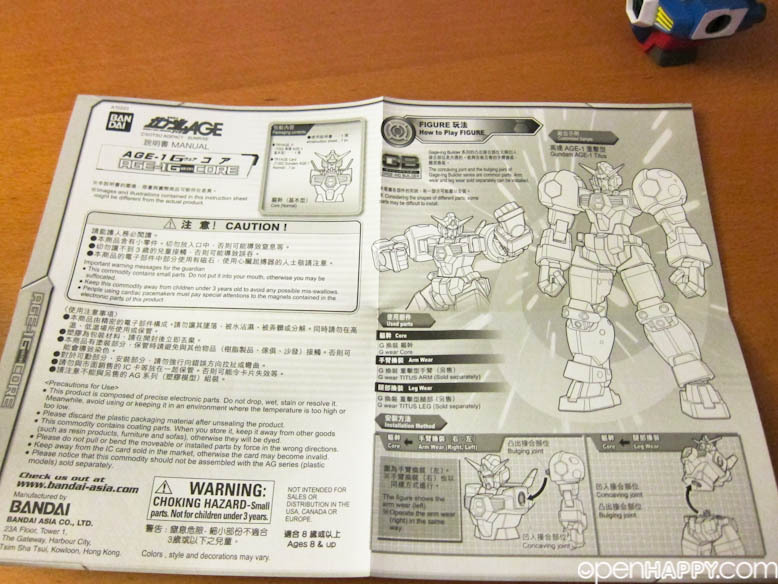 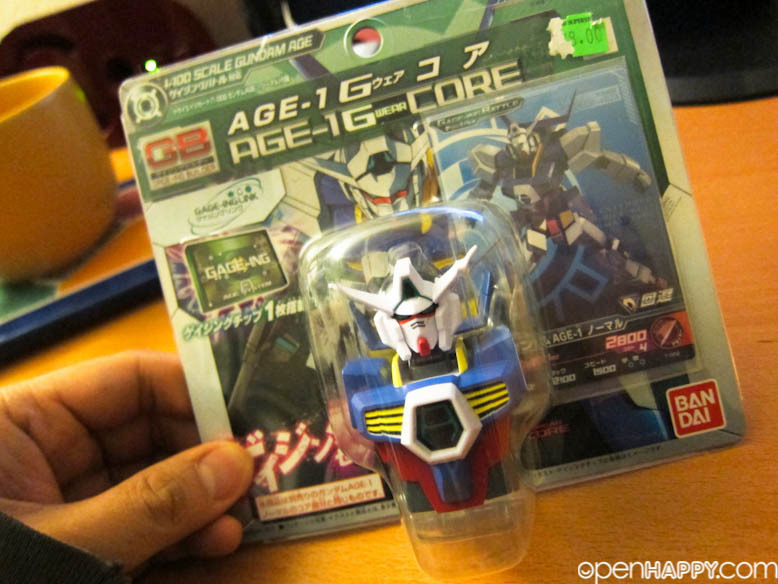 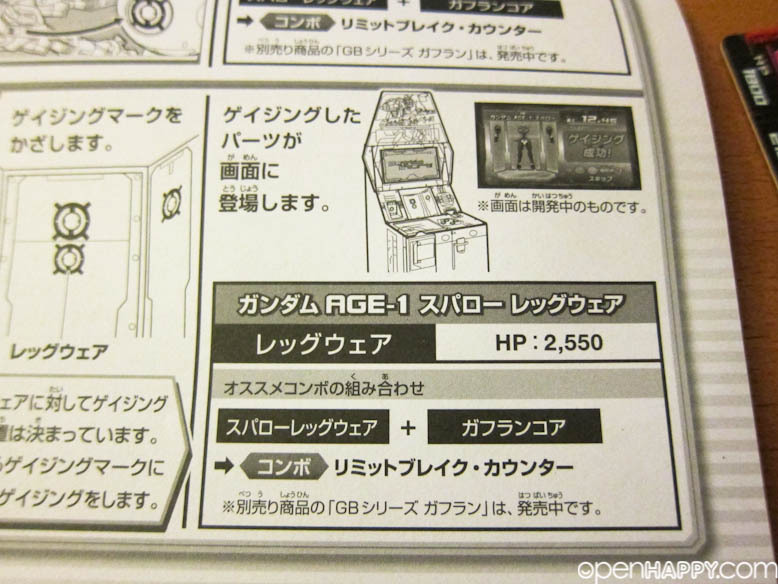 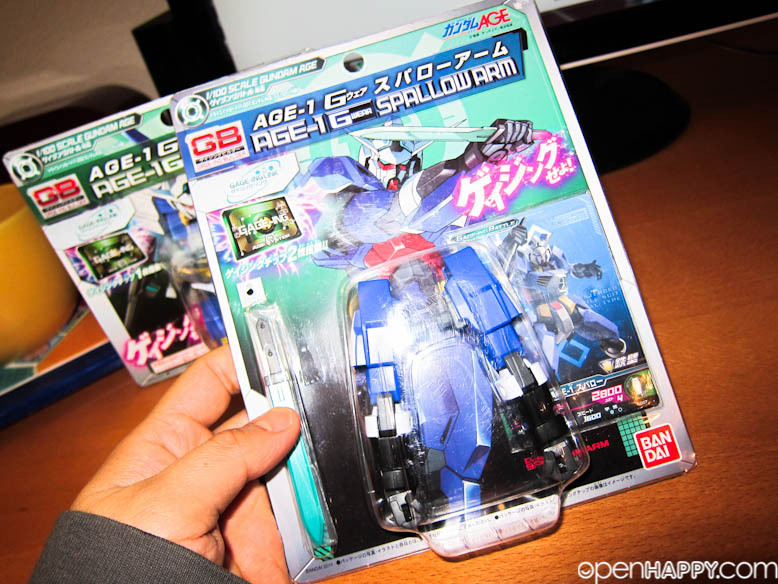 Spallow is a high speed variant of the AGE-1 Gundam AGE-1 Normal. 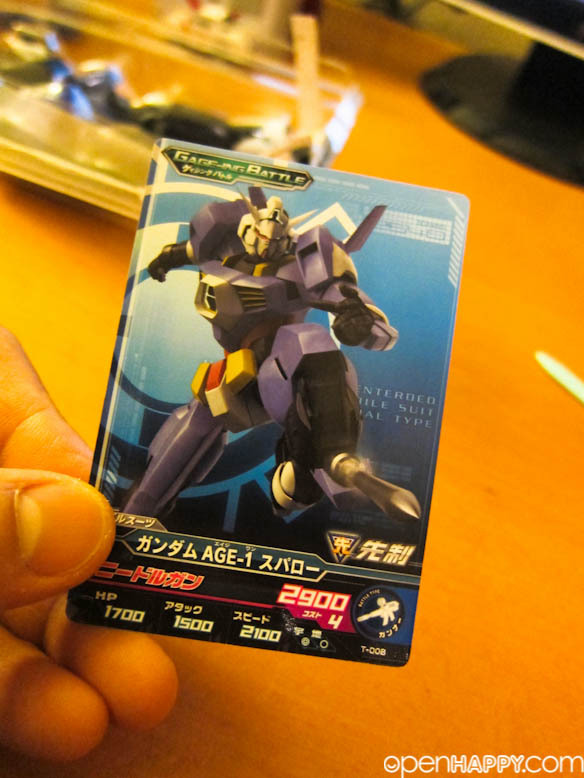 At 33.4 tons, it is almost 25% lighter than the AGE-1 Normal. 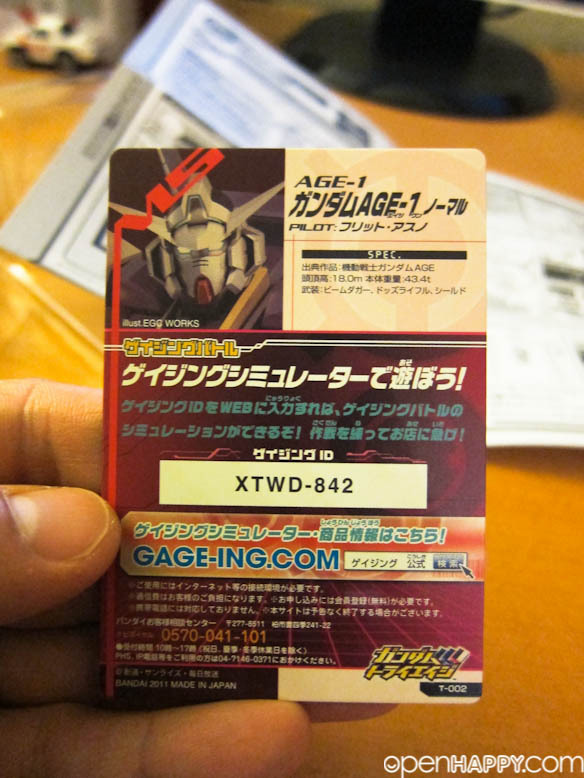 The Spallow was developed to counter the UE's high speed xvv-xc Zedas. 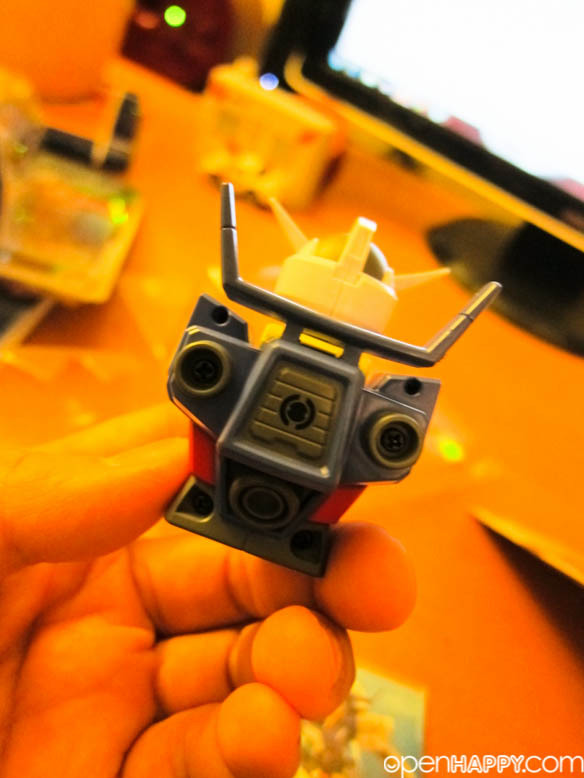 The introduction of lighter parts and vernier/attitude control thrusters allows the Spallow to achieve mobility unprecedented in the history of MS.
Spallow is thin. 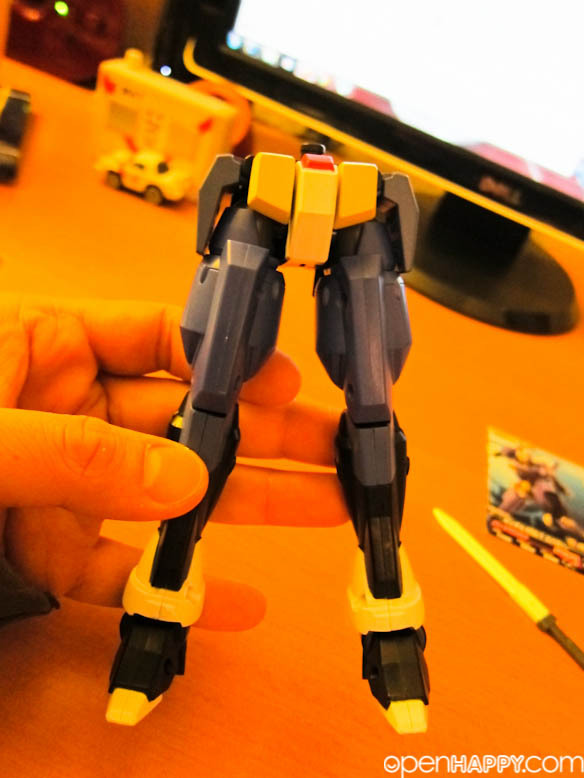 The legs are so thin that it always does not stand up. 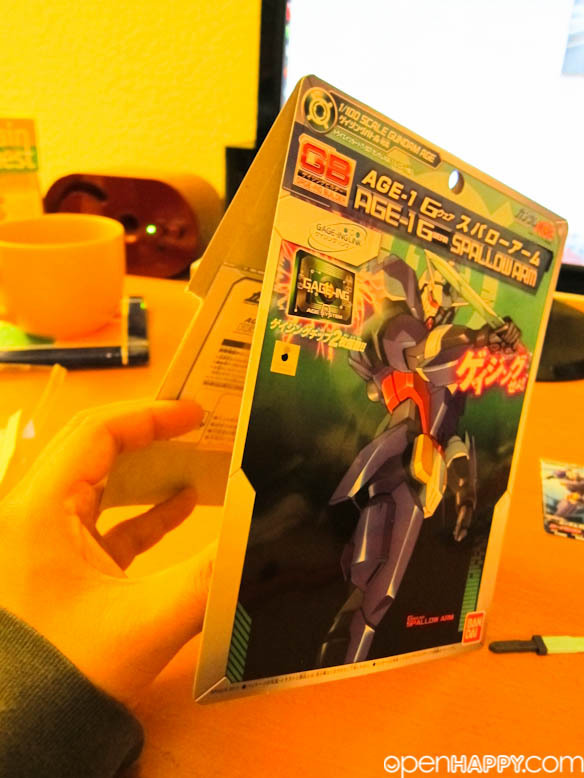 You really have to post in order to make it stand up. 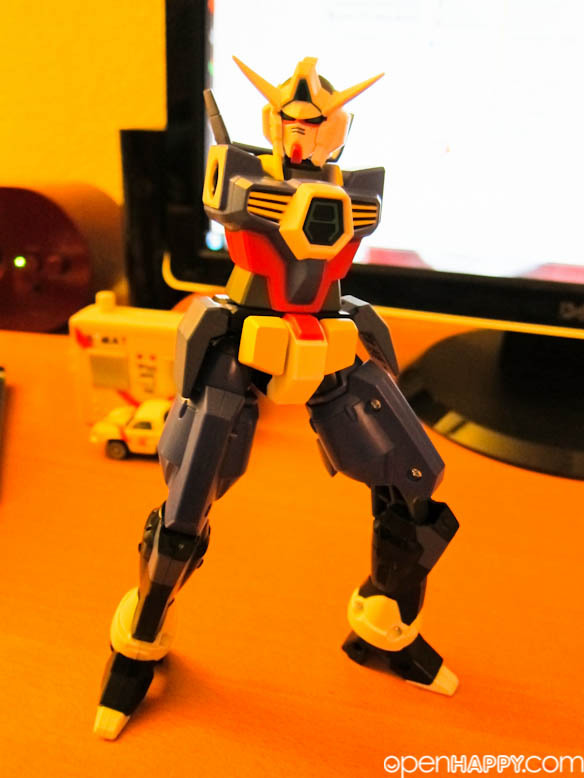 You basically has to open the legs, so the base is big enough to stand. 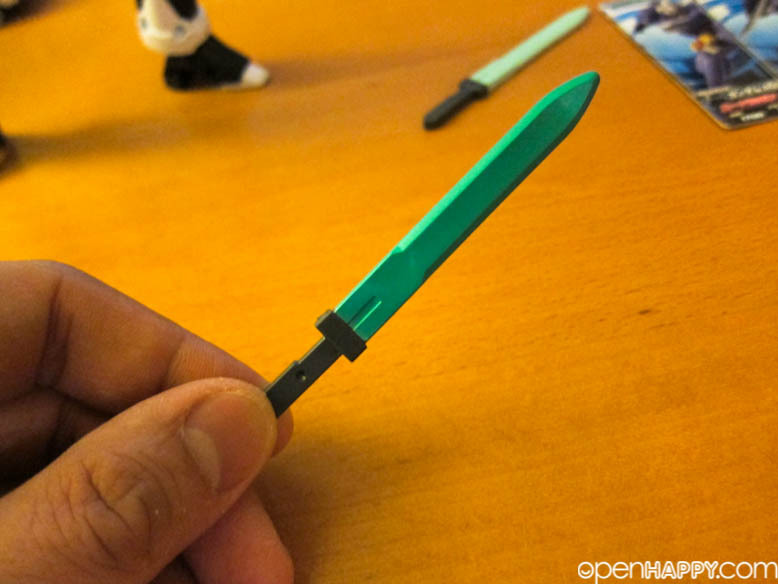 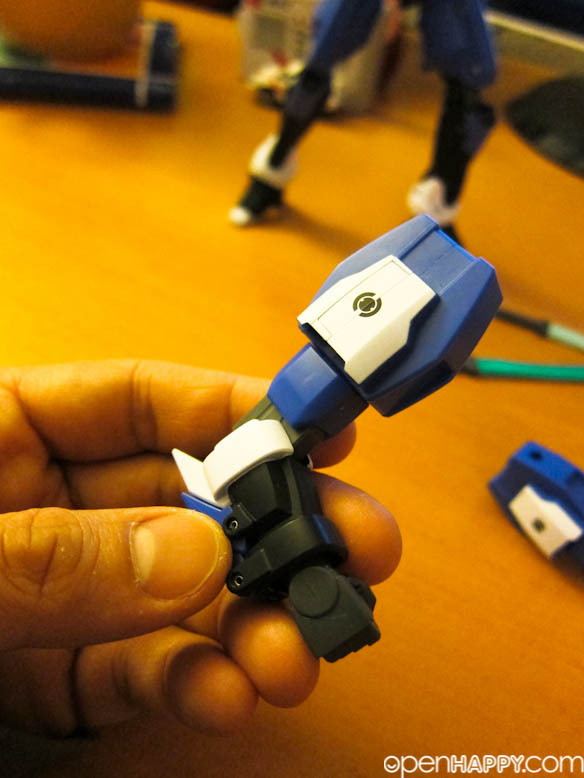 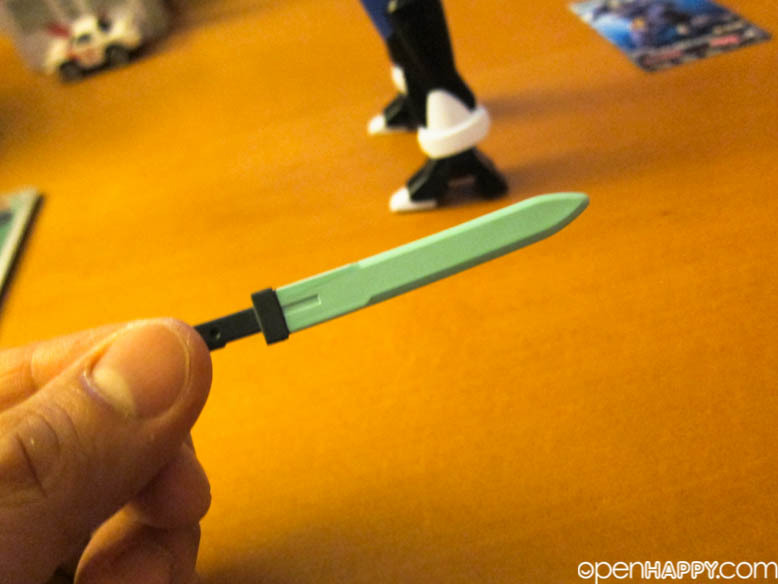 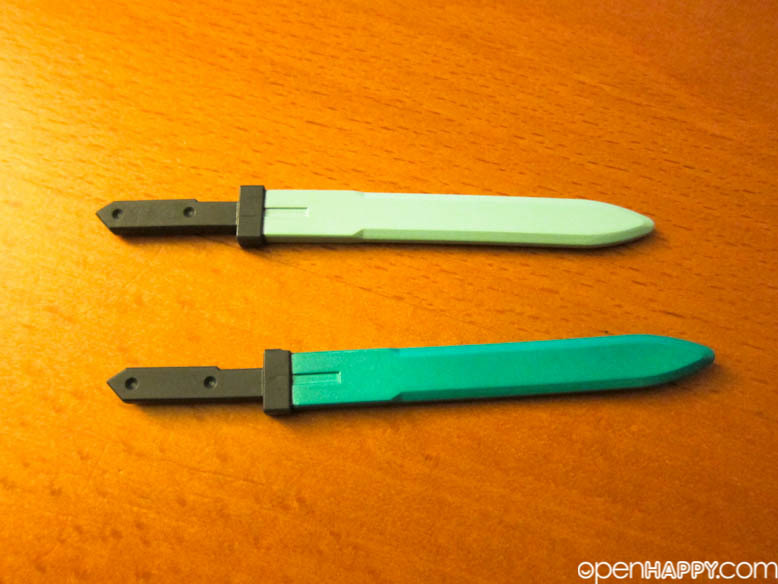 I remember when the HG of the spallow comes up, people are kind of complaining because there is no weapon other than the little sword and relatively little plastic is used. 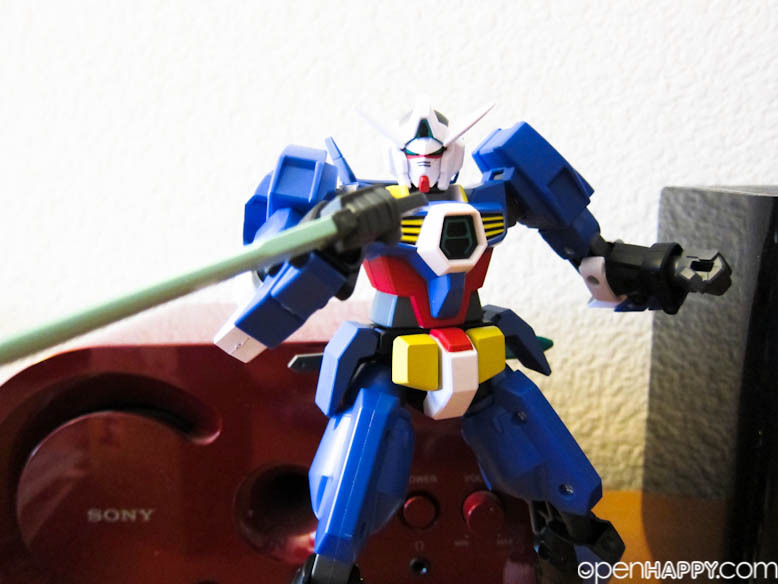 I took all these pics in the middle of the night with the small canon S95. 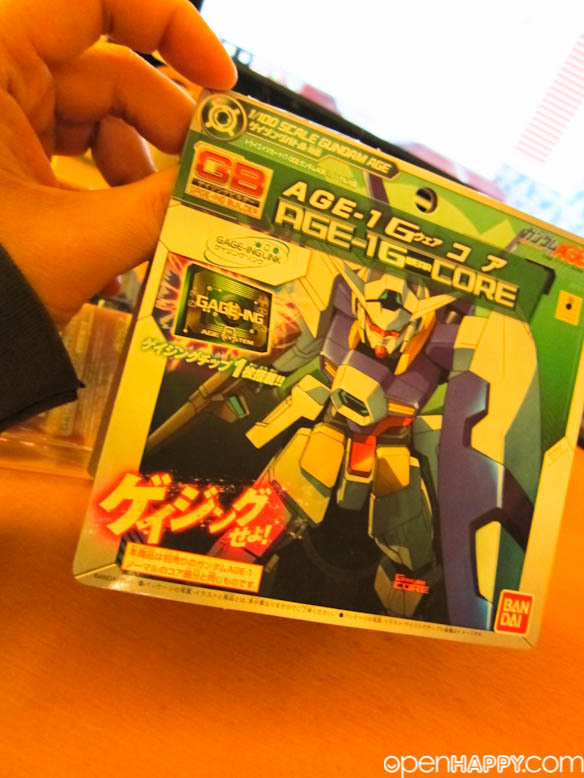 So, get ready for some really not-so-good pictures. 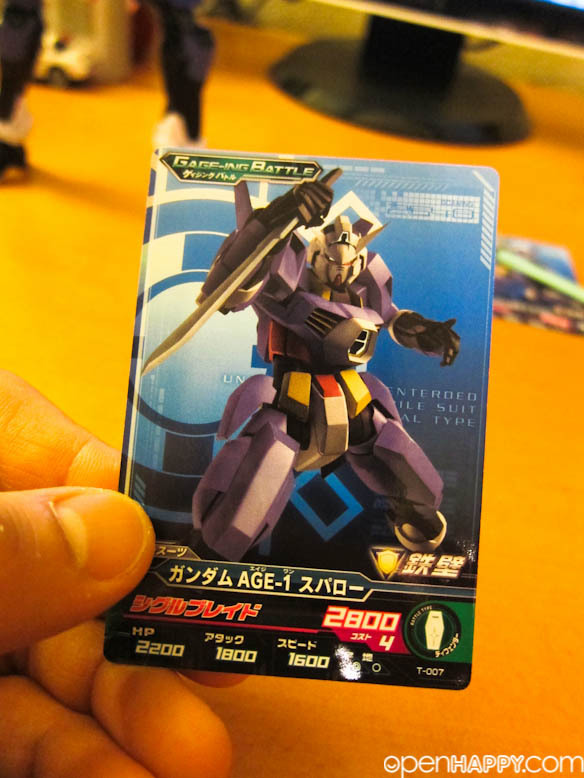 Again, you are not having a gundam. 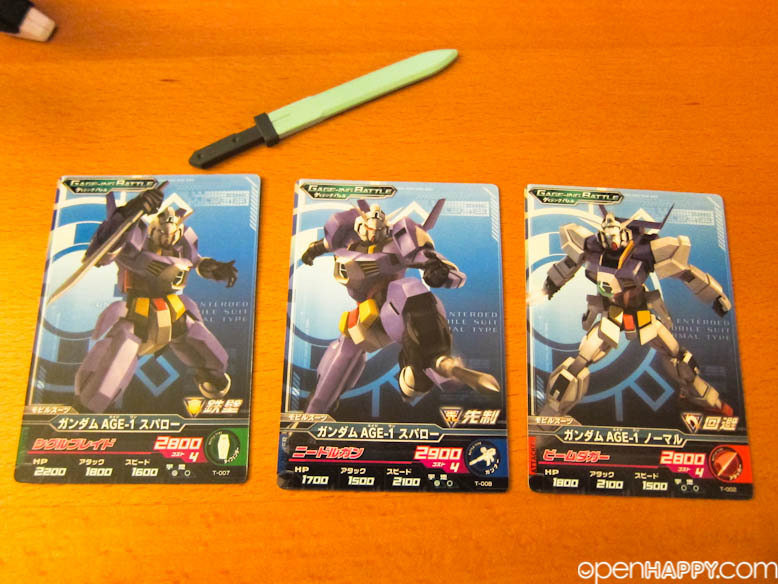 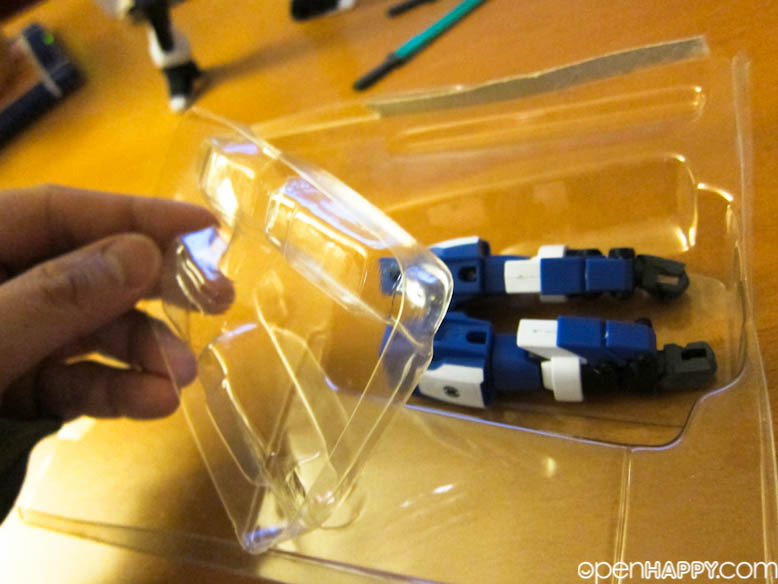 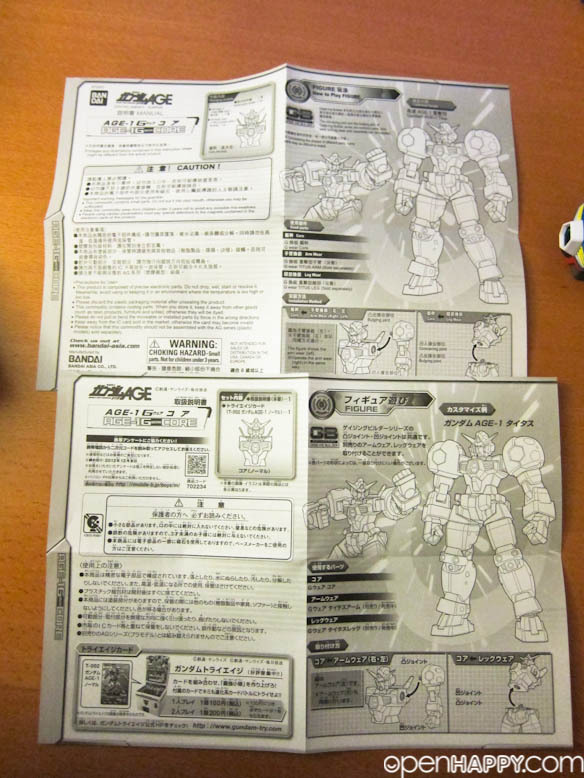 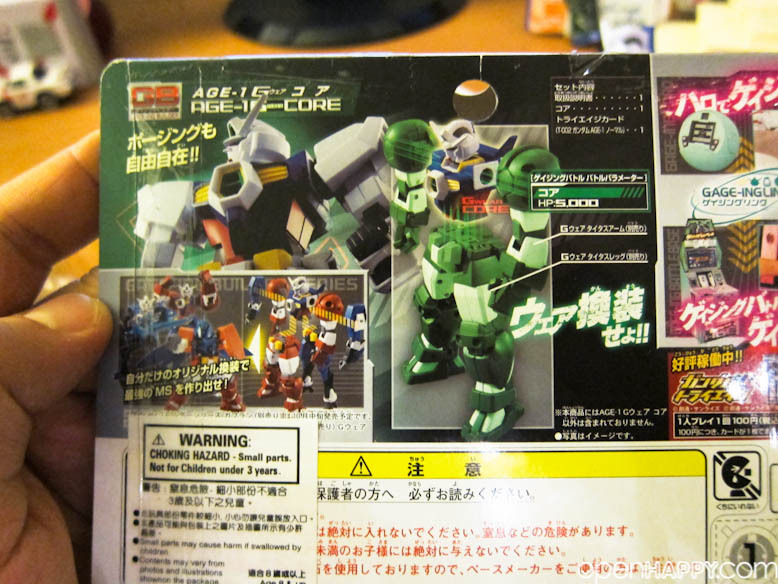 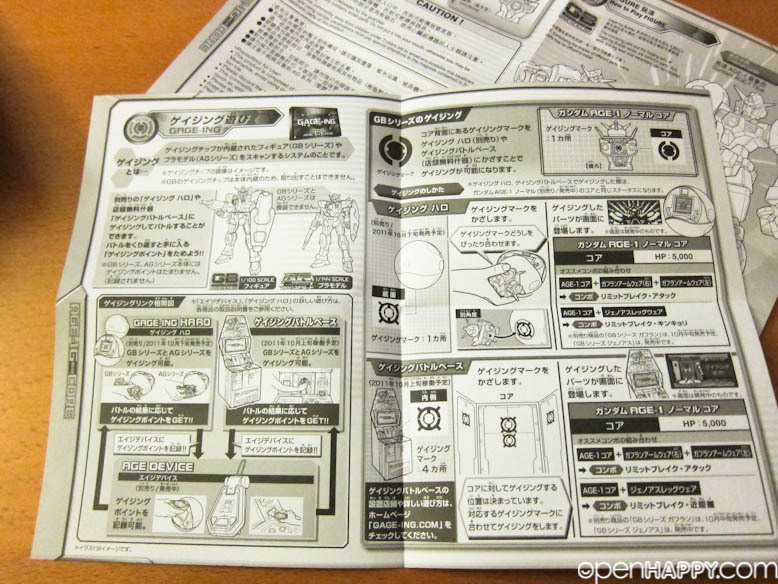 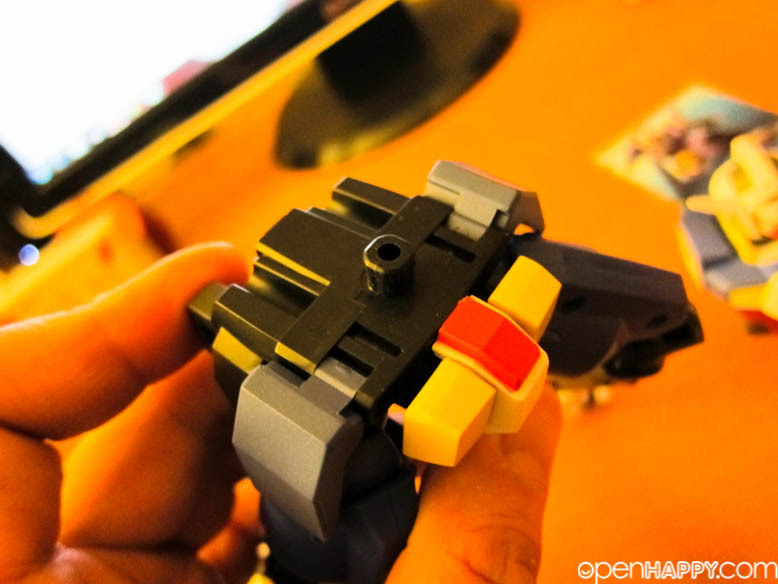 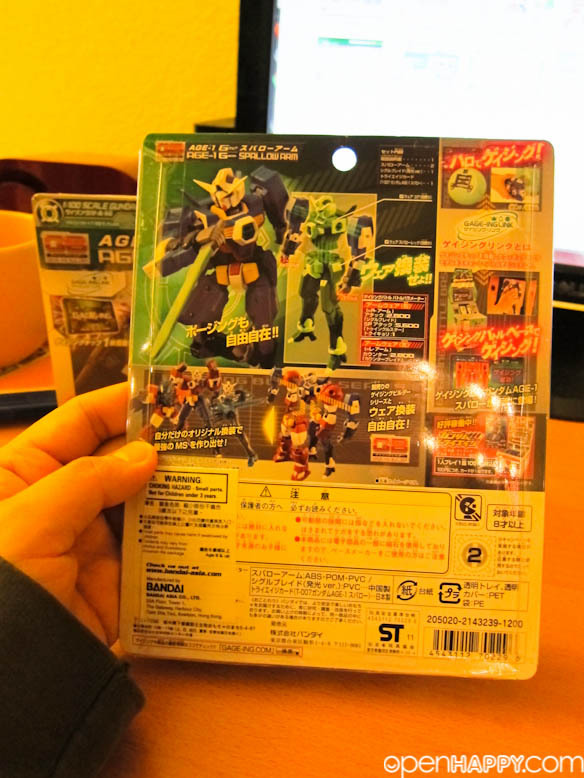 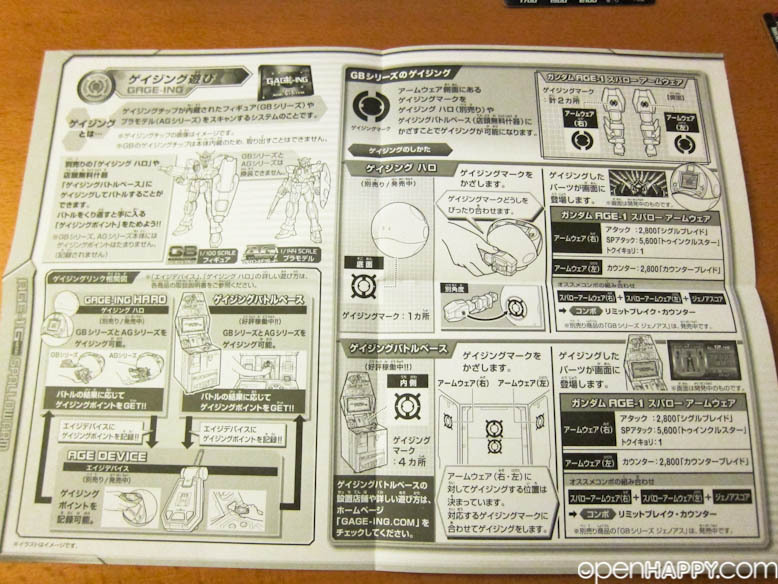 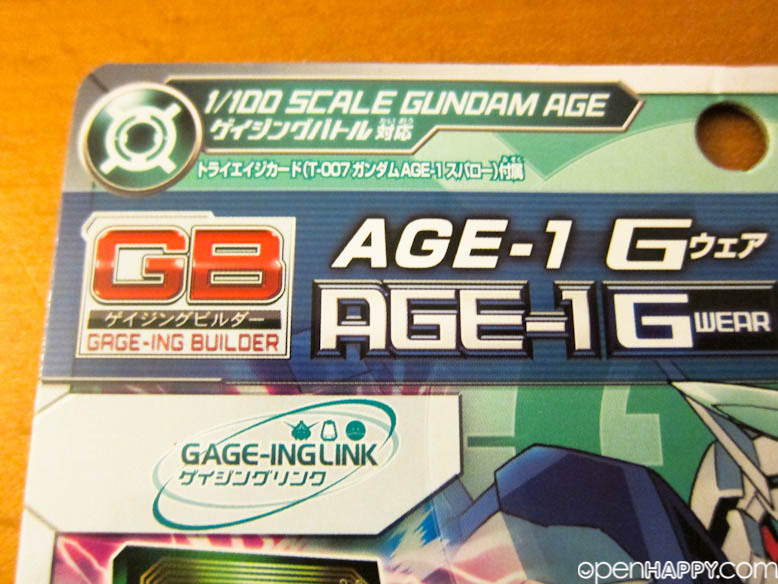 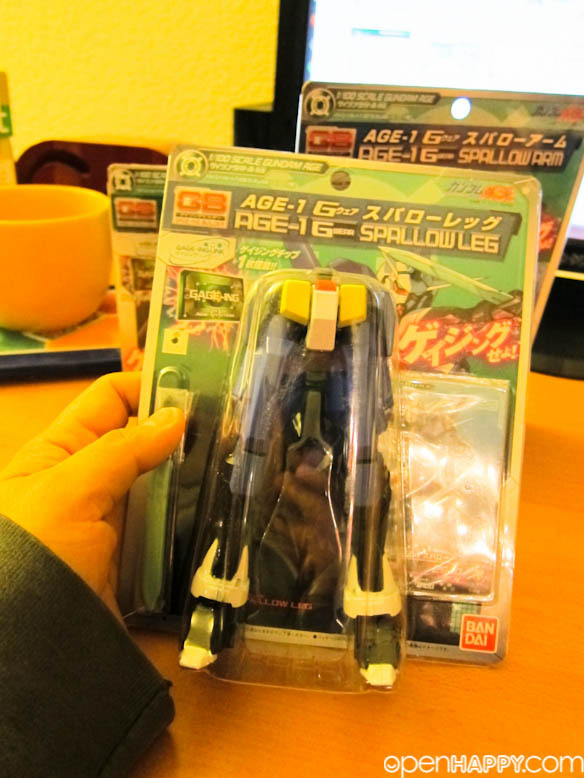 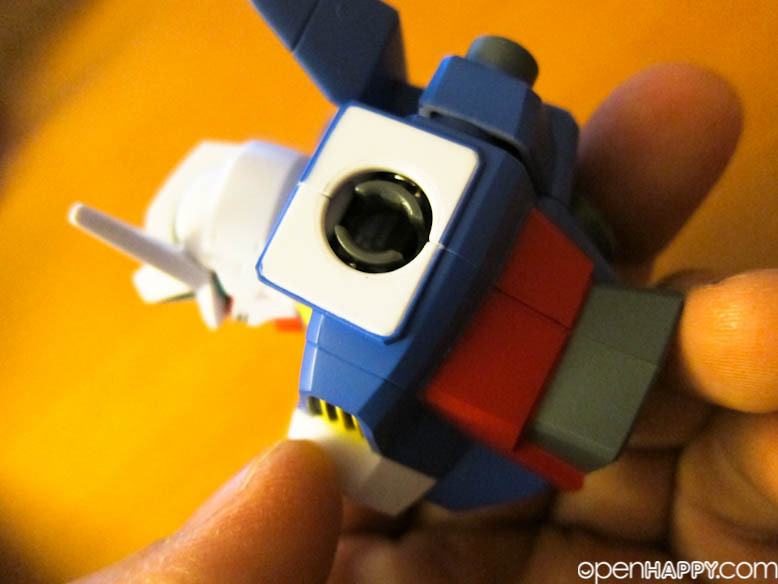 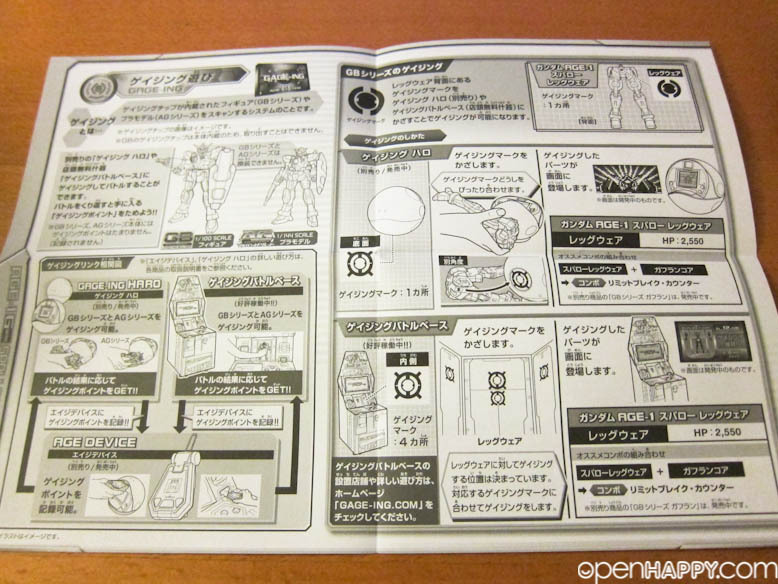 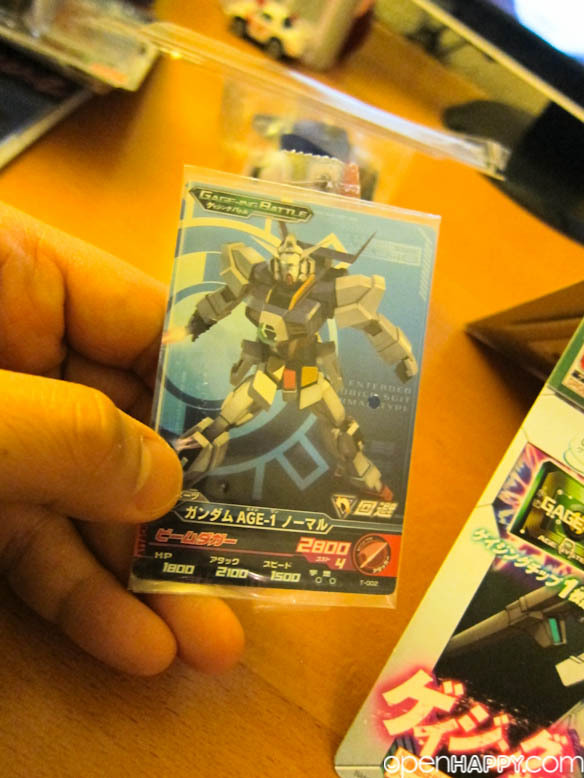 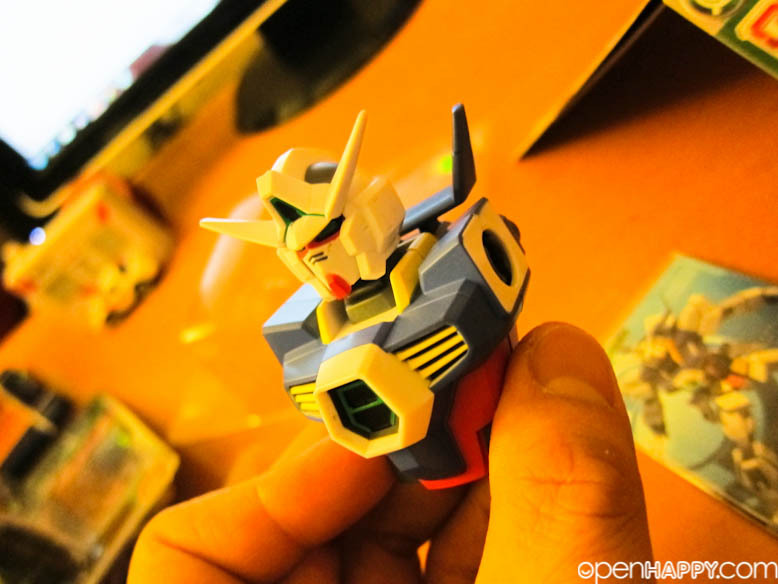 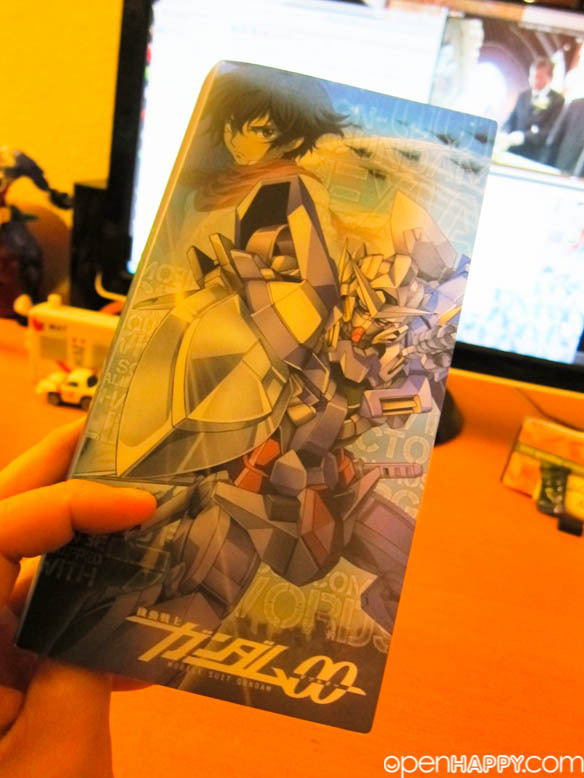 It is three parts that form the spallow gundam. 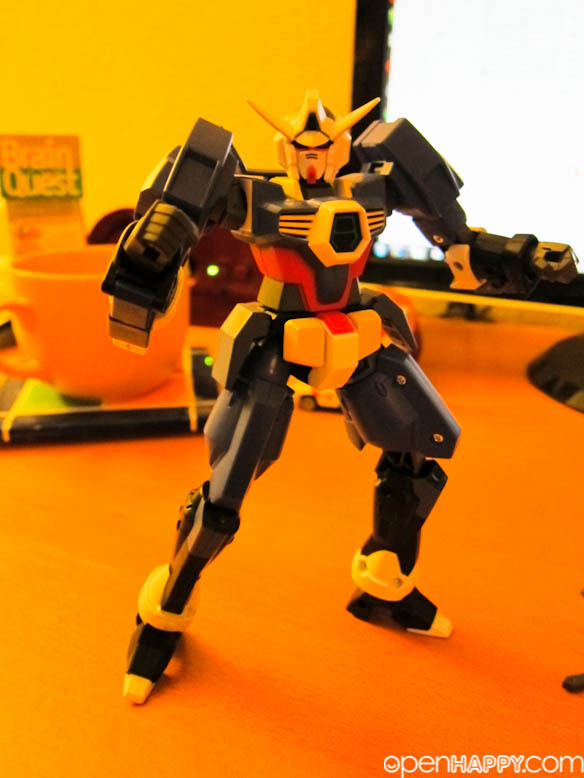 We have the arms, the legs and the core. 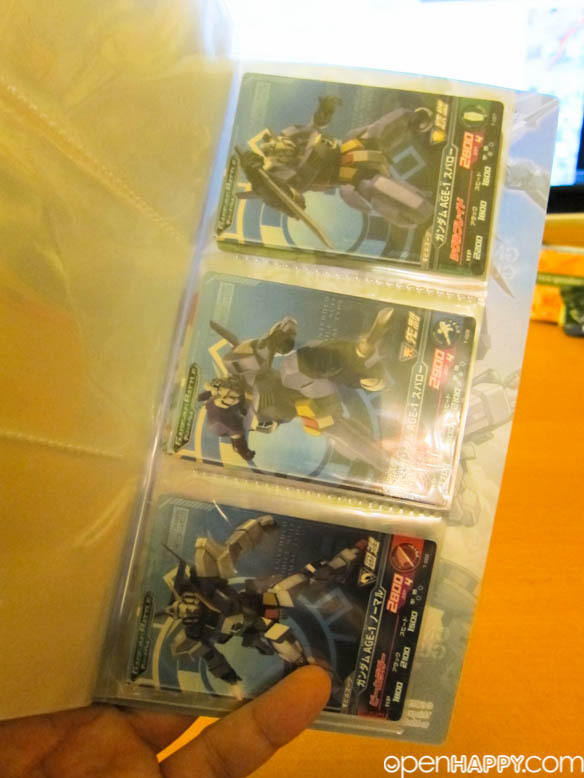 I picked all these up in Hong Kong during a trip back there. 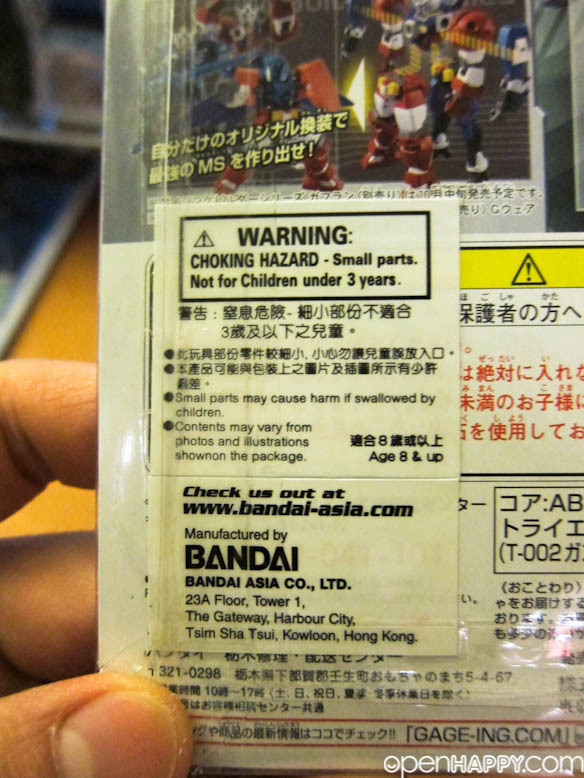 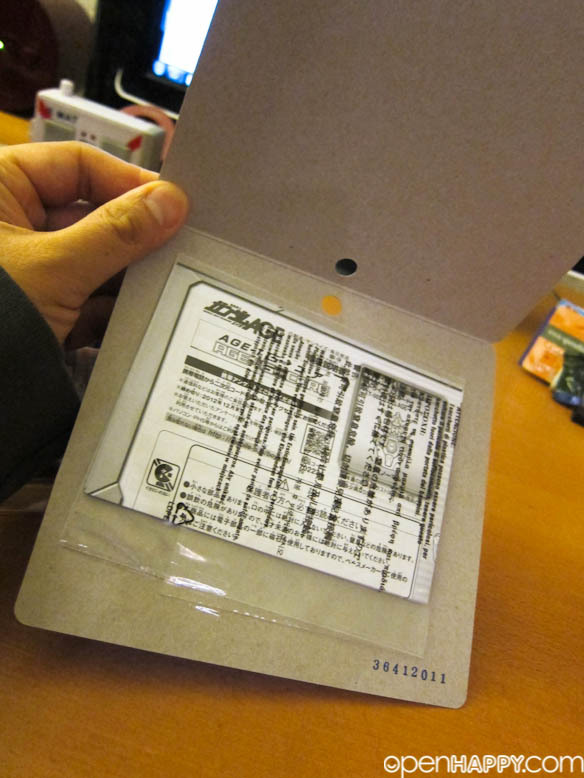 The instruction is inside the packaging, So, don't throw it away. 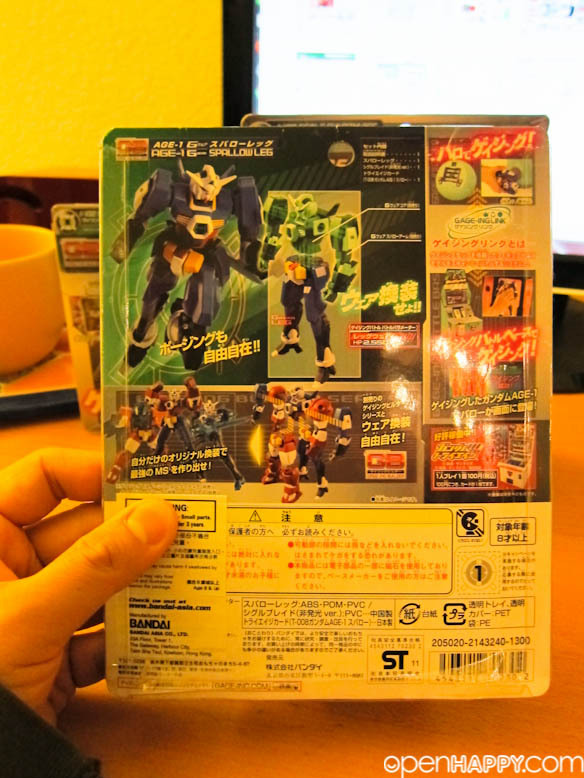 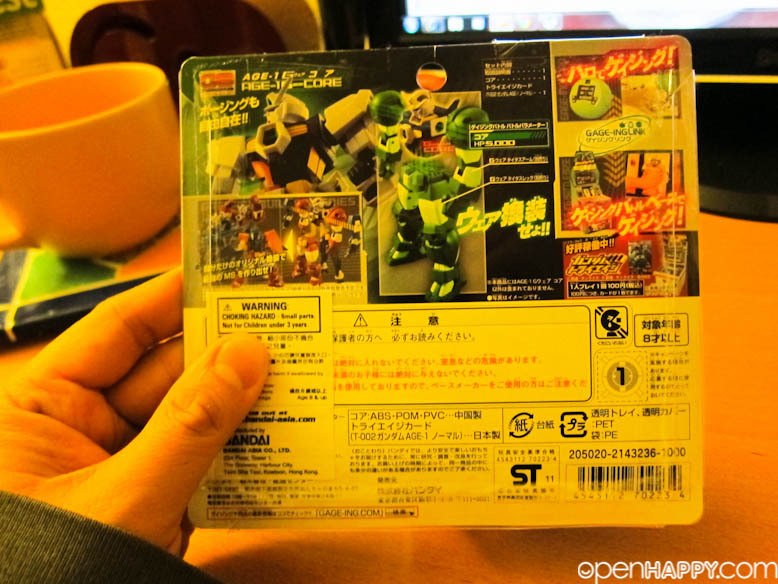 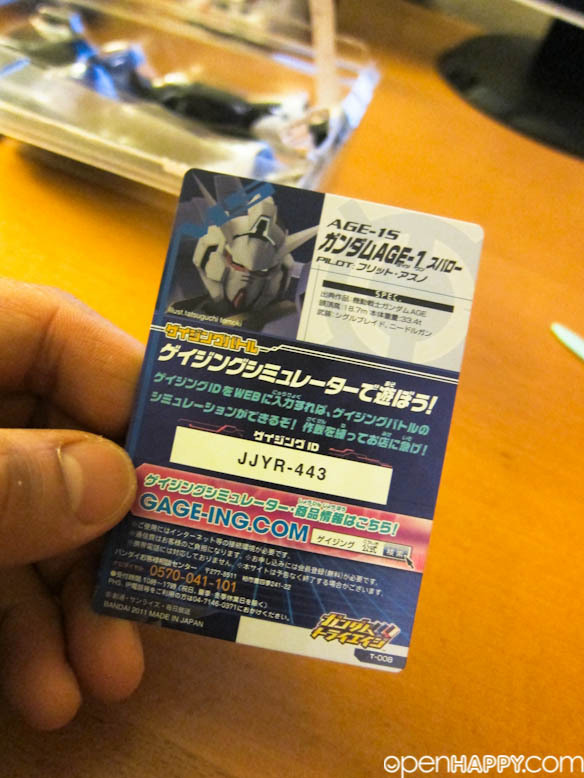 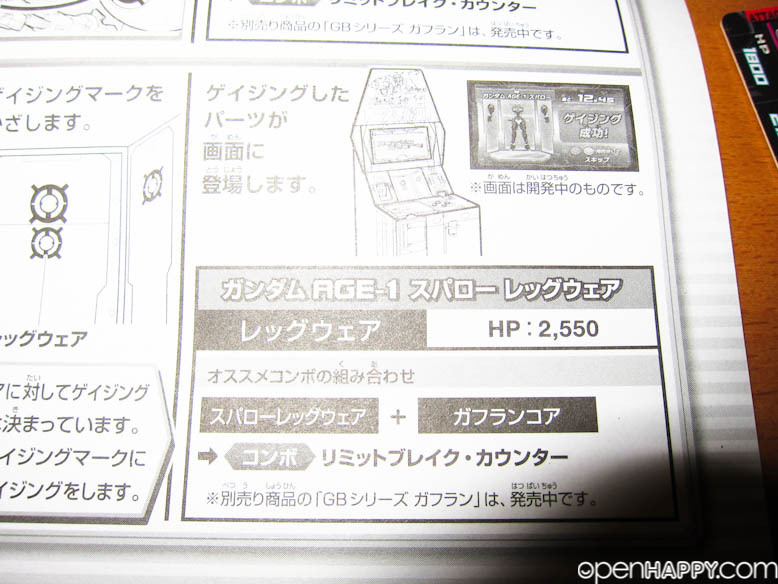 Each package has its own battle card. 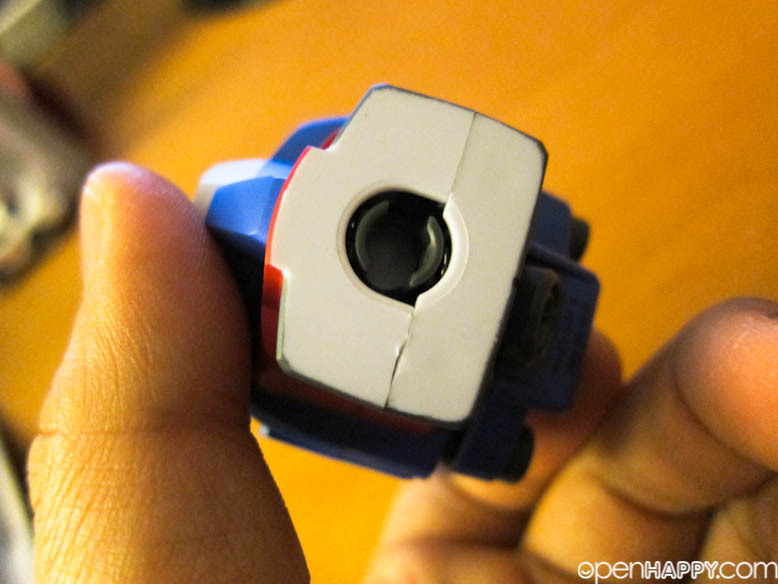 The connector to put your arms inside. 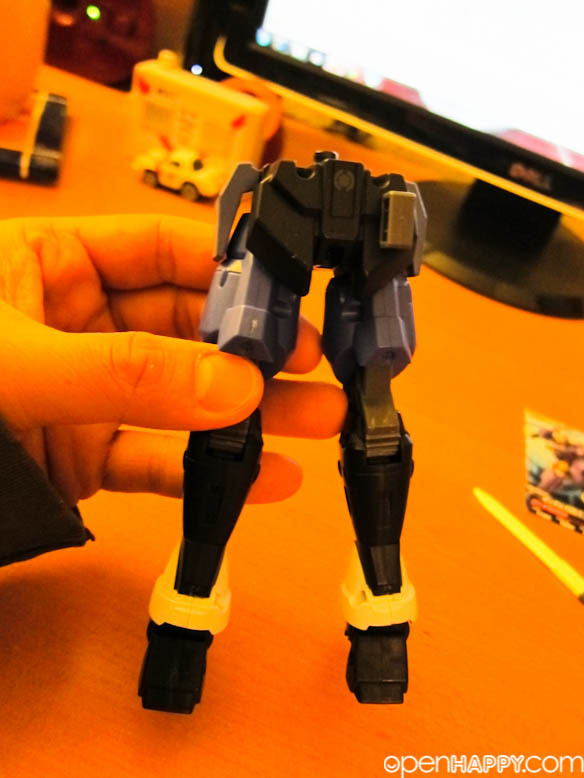 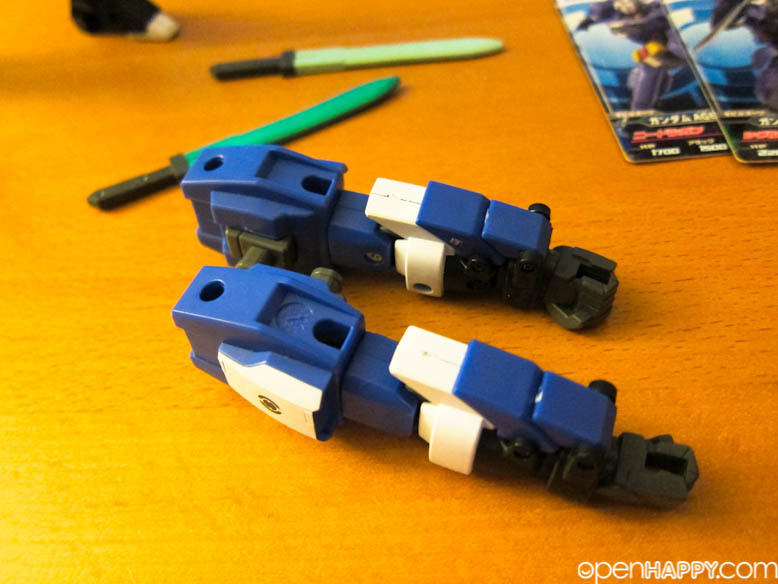 The spallow legs has heavy top and thin lower parts, a little rough to stand. 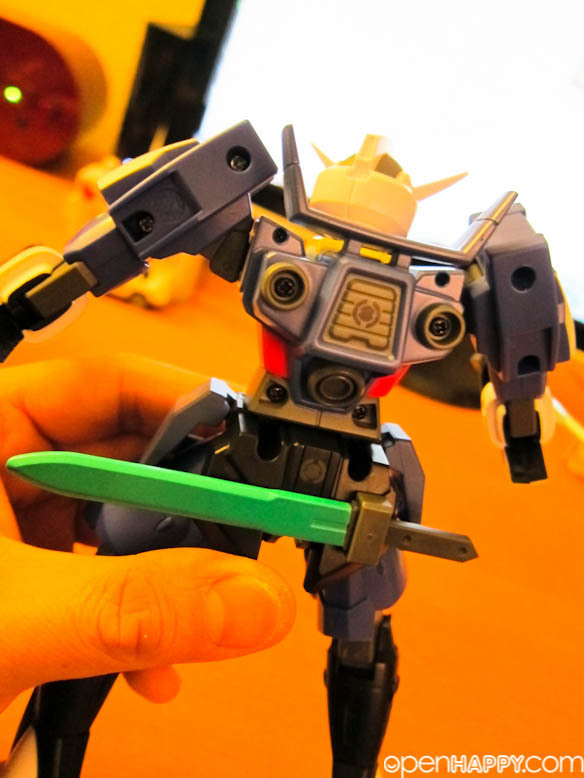 It looks like a ninja to make it looks like it can run pretty quick. 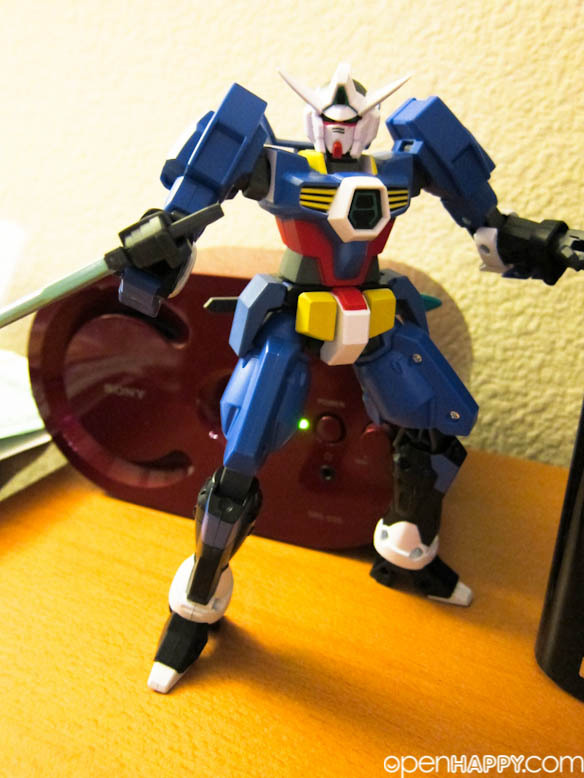 Pretty cool after you put it together. 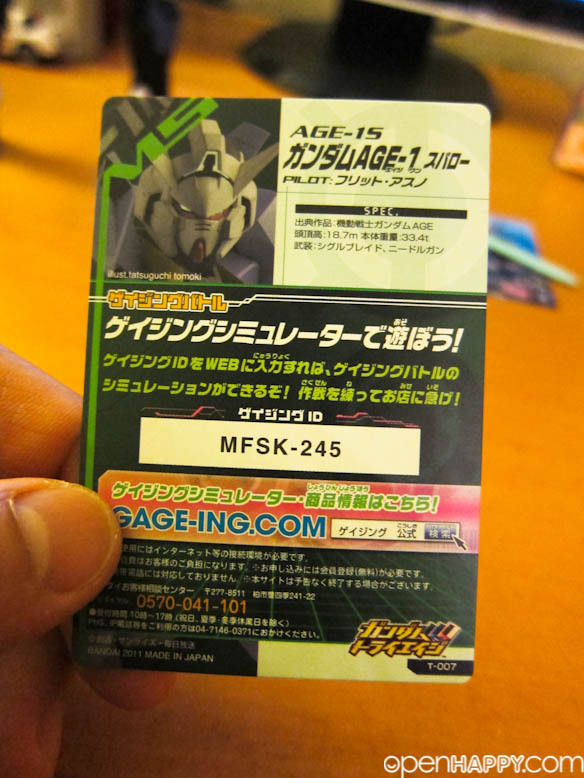 Let's put the cards to here for now.